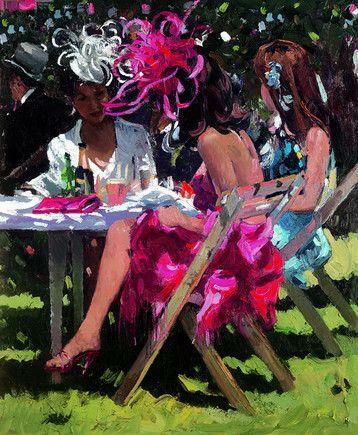 Ascot Splendour shows us three beautifully dressed ladies who are obviously attending Ascot. They are modelling the famous hats which are part of the dress code for such an event. The colours they are wearing are bright, yet complement eachother perfectly.